Keeping ourselves upright is something most of us shouldn’t need to think a whole lot about, given we’ve been doing it almost our entire lives. But when it comes to dealing with more precarious terrain, like walking on ice or some sort of tight rope, you might think some pretty significant concentration is required. But researchers have found that even in our moments of great instability, our subconsciousness is largely responsible for keeping us from landing on our backsides. This is due to what scientists are describing as a mini-brain, a newly mapped bunch of neurons in the spinal cord which processes sensory information and could lead to new treatment for ailing motor skills and balance. The work of Goulding and his team focuses on how the body processes light touch, in particular the sensors in our feet that detect changes in the surface underfoot and trigger a reaction from the body. Goulding is referring to the numerous sources from which our brains gather information to keep us upright. Signals from our eyeballs will tell us a surface may be slippery, sensors in our ears keep our head level, while signals come from our arms and legs to keep everything in synch. Scientists have believed that the signals coming from light touch sensors are processed by neural circuits in the spinal cord, but until now have been unable to determine the intricacies of this complex system. Working with mice, Goulding’s team employed advanced imaging techniques to track nerve fibers that carry the signals as they travel from light touch sensors in the feet to the spinal cord. What they found was that the fibers connected with a group of neurons called RORα neurons, which are also connected with the motor region of the brain. Genetically modifying the mice so that the RORα neurons were disabled led to a significant loss in sensitivity in their skin, though they were still capable of walking and keeping their balance on flat ground. But when the team led the animals to walk across a narrow beam the difference became clear, with regular mice performing much better than the clumsy rodents whose RORα neurons were disabled. The scientists say the difference between the two groups of mice was an ability to sense when they were slipping off the beam and correct their footing. They believe this corresponds with the ability to keep one’s balance on slippery surfaces. 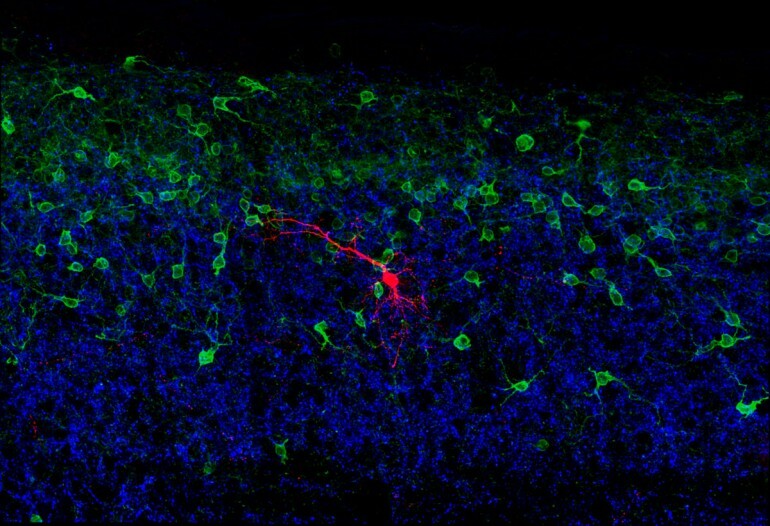 And because the RORα neurons also connect with neurons in the ventral spinal cord that control movement, the team says they are at the core of a so-called mini-brain: a cluster of neurons in the spinal cord that integrates signals from the brain with sensory signals and moves limbs accordingly. The researchers say that improving our understanding of these circuits should help in the development of therapies for spinal cord injuries and conditions that hamper motor skills and balance.